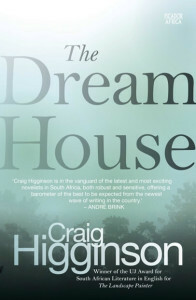 So begins The Dream House, Craig Higginson’s riveting, and unforgettable novel. Written with dark wit, a stark poetic style, and extraordinary tenderness, this is a story about the state of a nation and a deep meditation on memory, ageing, meaning, family, love and loss. The Dream House is written with such a fierce and steady compassion that the reader can only come away from it transformed – ready to take on the challenges of living with a renewed heart and a bigger vision.